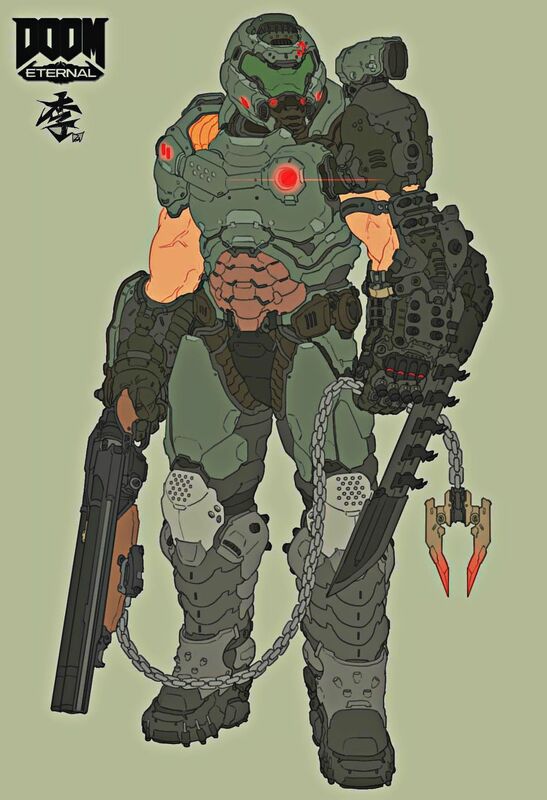 - Berserk: RIP AND TEAR! Restricts ability to use anything but bare hands in combat when active but he is insane. - Invulnerability: More of a suit ability, really. Does what it says on the tin. Personality: Strong, silent type mostly; Though when it comes to demons, well I think if you've watched any of his work you'll see what I mean. That being said he's not a bad person; even has a pet bunny named daisy back on Earth. Well, had. - Doomguy CAN talk, he just doesn't do so to most people. - Actually a pretty chill dude when it comes to other humans, helpful to those who need help and glad for any help he is given as long as it isn't putting people in stupid danger. Last edited by Sans_the_Medic on Thu Oct 18, 2018 3:01 pm, edited 1 time in total. Everyone wants to know about the girl. Guess they figure that if they ask the right questions, they can make sense of it all. Won't tell 'em they're wrong. That's for someone else to do. You still want to know about her? Fine. Here we go. Name: Interesting question. I call her Red. She's doesn't correct me. She doesn't correct anyone. That's my job. General numbers: Everyone's got a thing for numbers. People think they mean something. If you can just find the right combination, everything will line up. Ain't about lines, though. It's all about limits. She's just your average girl. Twenties, maybe? I didn't ask. She wouldn't answer anyway. Speciality: Kill the Process, when it gets out of hand. Don't know how to explain it better. Computer stuff, I suppose. Technology. The whole world's just one sort of technology built on top of another. Someone's always ahead of their time. We don't stand on the shoulders of giants. We stand on the corpses of miracles. Equipment/weapons: Her winning smile. Don't call me a weapon. -Electric- Shock 'em. -Electric aura effect on the blade. Appearance: Take a look for yourself, I guess. Personality: Girl doesn't talk much. At all, really. It's not my fault. She's a sweet kid, though. Nicer than people deserve. Good thing she's got me around to redirect her. looks good! 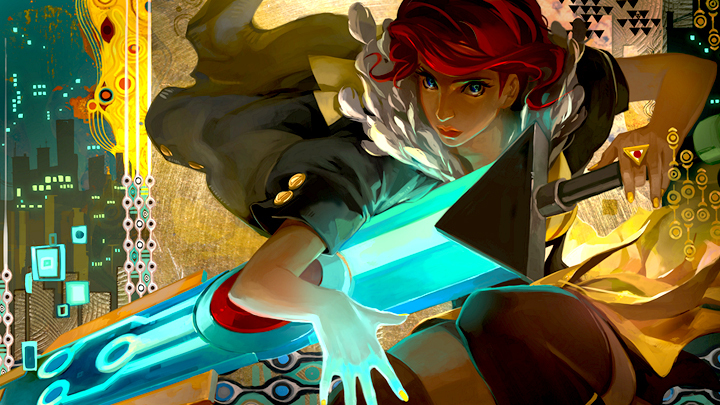 Also I have a feeling I'm gonna adore the whole "transistor is the narrator" thing; I like those sorts of narrators. Speciality: Supernatural, ghosts undead vampires all sorts of terrors. Equipment: do to arcane abilities her weapons usually can harm the supernatural from experience though she packs a backpack with things that can sway combat. Such as stuff to make fires, silver nails and bullets garlic and so on. Much to her disappointment her guns didn't come with her. Weapon: "his name is BFFS no not that way it's uh totally bat for f***ing skulls" the weapon of choice for Martyr, a baseball bat impaled with long silver nails and made of a reinforced wood. Mix those with some arcane ability and it manages to work on the various terrors she's confronted and has held strong for years. Abilities: She has roughly twenty points to use every twelve hours, while in person it's hard to explain the "edges" and how limited they are naturally she knows. These abilities are broken down in one to five in value. One Point Cost: Demand-a command that pulls from her own vitality feeling like her skin is burning and if wounded may result in slight increase of bleeding, but in exchange for a boost in strength or speed. Project-directing ones human will and it's purity toward another to make it become intimidated or tired. Two Point Cost: Witness-at the expense of a light psychic pain this allows the martyr to open her eyes to a greater perception of surroundings, seeing her prey for who and where they really are as well as identify their relationship to surroundings. Revelation-also striking pain to her mind it also might expose her own thoughts to others, what she gains though is a psychic link to a target knowing their thoughts and feelings. Three Point Cost: Ravage-fire and a burning haze capable of being both real and supernatural flows from Martyr and can be commanded to move to a target capable of even effecting the intangible. Inflict-is the ability to share her pain with those who attack her. Four Point Cost: Donate-is the command to her will and body to extract something from herself to loan to someone else for a limited time such as strength,speed, experience. Ordeal-this allows the Martyr to take on the suffering of others from injuries to traumas and derangement so that others can feel better. This is all or nothing though for her, she can't shake the traumas she's freed others of, and if she was going to save someone from death it'd be at the cost of her life. Five Point Cost: Payback-allows the imposing of mortal limitations on a opponent, robbing of powers and the like it demands though concentration and continuous eye contact. Expiate-lets the martyr remove supernatural nature, turning cursed or shape shifters human, or the undead back to being a corpse and so on. When successful though it is a permanent effect on the Martyr, shaving off years or inflicting mental scarring or a variety of other ill effects, at worst though it might just lead to an immediate death. Personality: Often does her best to be outgoing and loud to make up for a more cold interior. Having seen to many friends die off and always wanting to be the one to endure the suffering for others but still being here. History: Megan has been lucky enough to hunt and slay various terrors for three years, leading to her being quite skilled. This has though also lead to the loss of three parties parties having seen seven friends die and three suffer injuries to severe for them to continue. These same friends also in their kindness denied letting Megan take such pain away, which while she is eternally grateful for also pains her. That psychological harm has also grown from her consistent use of relieving others of their trauma. She doesn't get much sleep, is paranoid, suffers from PTSD and so forth. Which though she does try to hide is still inescapably there. Also had like a demonic Santa! Right; I realise we're still waiting on Monika's CS but it's been quite a while so I think we should get this show on the road anyways. I'll get the RP thread up now.